"To day I read an excellecnt article on " The National" website that has good information. I invite you to read it. Resistance for Freedom, Weblog "
THOUSANDS of Iranians opposed to the current regime are expected in Paris today, where the National Council of Resistance of Iran is gathering for its annual conference. A cross-party delegation of MPs, including Paul Monaghan and other SNP members, will join the event at Le Bourget. It aims to promote human rights and democracy in Iran and highlight human rights abuses carried out by the regime of President Hassan Rouhani. Despite claims that the regime is becoming more moderate, the NCRI said the situation in Iran was worsening, with executions at a 25-year high and Tehran openly violating United Nations resolution 2231 by continuing to test ballistic missiles. It said the regime was sowing discord, especially in Syria, and was continuing to export Islamic fundamentalism. 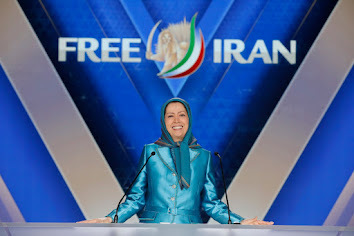 President elect of the NCRI, Maryam Rajavi, who will address the conference later today, has already proposed a 10-point plan calling for the introduction of full democracy, equality for men and women, the abolition of the death penalty and the separation of church and state. Shahin Gobadi, of the NCRI’s foreign affairs committee, told The National: “The objective is to show the world that three years after Rouhani’s presidency, moderation by the Iranian regime is a myth and the regime is more aggressive and more belligerent than prior to the nuclear agreement. “It is time to recognise the right of the Iranian people. He said there would be no stability in Iran as long as the clerical regime was in power, but added that it was becoming weaker. “It is evident that the clerical regime is more isolated at home and in the region and is engulfed in moribund crises,” he said. “A year after the nuclear deal, despite all the unwarranted concessions provided to the regime, the ruling theocracy has not been able to alleviate any of the crises it is facing and is weaker than at any other time. Gobadi said the Iranian resistance enjoyed “widespread support” inside Iran, with many backing Rajavi, whose plan for change had already been met with international acclaim. 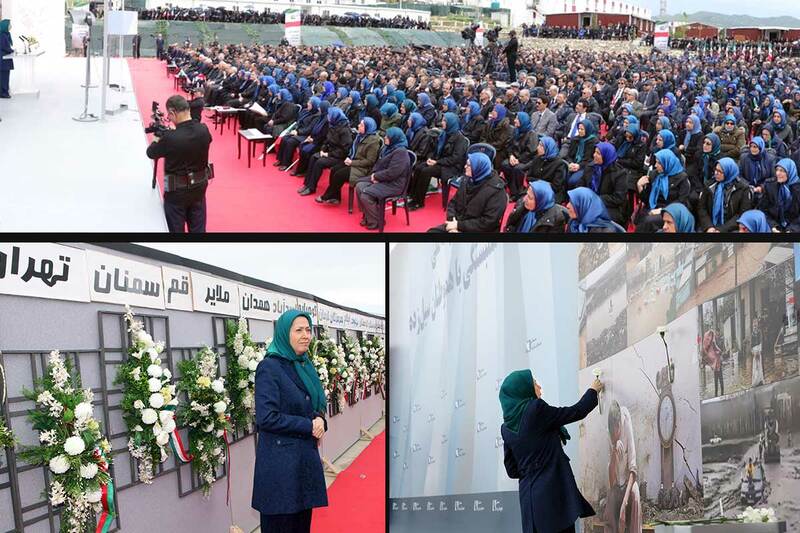 “The clerical regime has executed some 120,000 activists of the People’s Mojahedin Organisation of Iran (PMOI), the principal Iranian resistance movement, in the past three decades. “The clerical regime is fully cognisant of the resistance’s extensive popular support and that is why it has resorted to the most brutal terror and repression against the Iranian resistance that is striving for the establishment of democracy and human rights in Iran. Gobadi added that the Iranian resistance had alerted the world to the regime’s secret nuclear weapons facilities through its network inside Iran, and had it not been for that, the regime might already be in possession of a nuclear weapon. He went on to warn that leniency was not an option. “It is very true that the mullahs have been cheating and deceiving the international community on that issue for the past two decades, so any leniency, any concessions, simply works into the hands of the mullahs to pursue their ominous objectives, ” he said.